Children seemingly have boundless energy and can leave you feeling exhausted at times. Its kinda like the saying 'take a rest and recharge your batteries'! 'Just like batteries, they keep endlessly going then come to an immediate stop, drained of energy and just fall asleep- wherever they happen to be. Then they recharge, and the cycle continues! 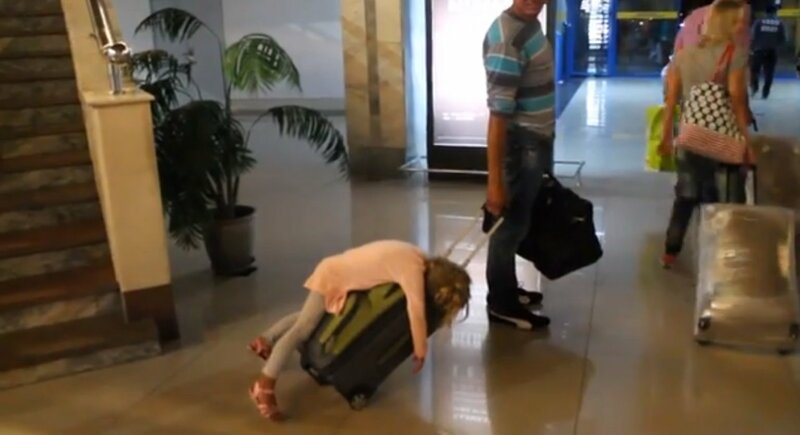 Check out these hilarious pictures of children falling asleep literally anywhere! He Can't Be Comfortable Surely? Shopping Is Sooo Boring Mom! Again, How On Earth Can He Be Comfortable? No Monster Can Hide Here Now! I Got Tired Of Waiting To Go On Vacation! Batteries Ran Out Sorry, Need To Recharge!